Tentickle Stretch Tents was asked to provide a stretch tent for Oxford, Christ Church and for their alumni ball. It is a very prestigious event and we were certainly honoured to be asked. At the time our PLI was for £5 million pounds, however if we were to go ahead we needed PLI for £10 million pounds, this was arranged within a few days and we progressed to the next step which was deciding on the right size for the area. They required a 15m x 20m stretch tent to serve as a cover for the bar area. The area designated for the bar was on hard-standing ground, which meant that concrete weights would have to be used to secure the tent. Additionally the environment was very sensitive due to the number of historical buildings located so close to the site. 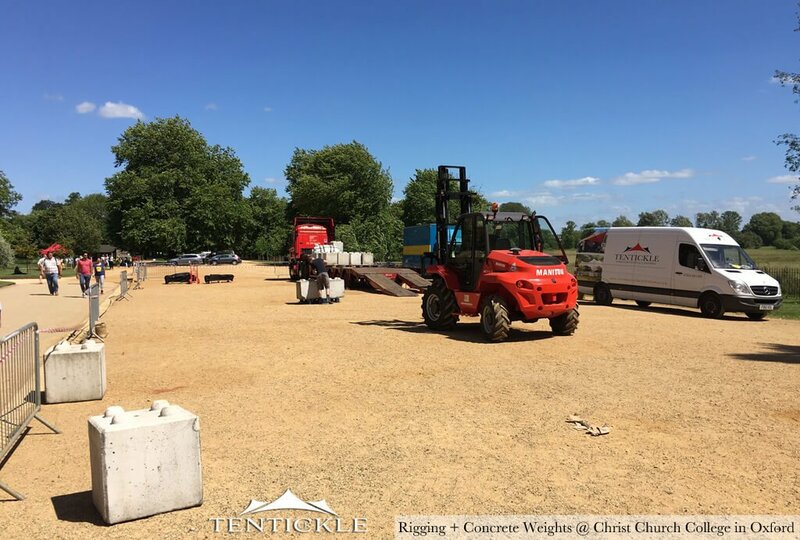 Much care and attention was paid to keep all crew, access vehicles, forklift trucks and concrete weights to the designated walkways and paths. 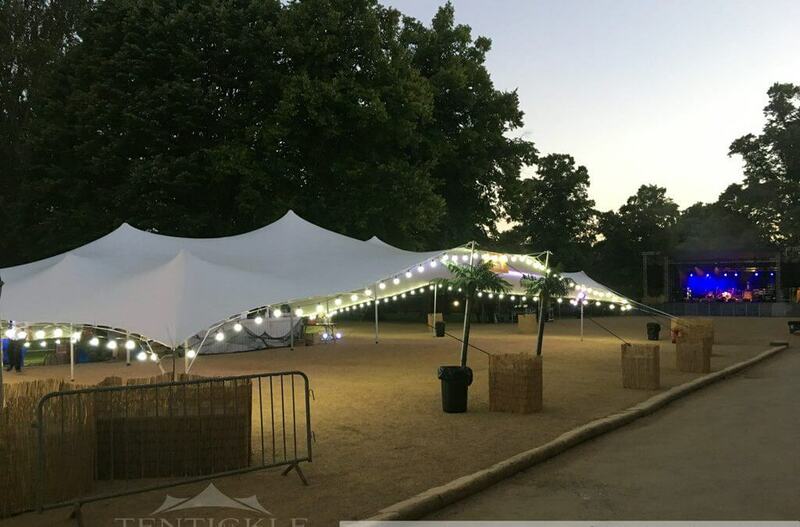 With logical thinking and forward planning the professional crew were able to install the stretch tent as per the client’s request. This job had a particularly tight schedule, but everything came together perfectly. All equipment was removed and the site cleared by lunchtime the day after the event.